The key point is that moving the goal of health promotion in workplaces away from disease prevention into the all-important promotion of ability to work, recovery from work and safety is nothing but a fantastic opportunity. One challenge posed by FIOH is that professional drivers, female entrepreneurs and the unemployed represent hard-to-reach groups when it comes to conveying traditional health information. Indeed, several factors concerning culture, opportunity, cost, personal situation and the environment are partly to blame for such issues around communication, which tend to be top-down, expertly led and inflexible in both design and delivery. In addition, the changes in the behaviour of these target groups can be encouraged by employing social marketing media campaigns and collaborative events. An interesting point covered in this respect is that humour appeals to professional drivers, so FIOH underlines sketch characters known by this group in video and brochure outputs, as a part of the organisation’s social marketing endeavours. Another compelling area discussed here is the crucial role of group-based counselling, which is said to be an efficient and cost-effective way to motivate and offer support for advancing a health-promoting lifestyle. It affords the processes of both social support and influence, which essentially influence individual behaviour change. FIOH also explain how ageing is associated with a progressive decrement in physical work capacity and added to this, we are told that the combination of ageing, as well as the increasing prevalence of inactivity and obesity, contribute to a decreasing work capacity in terms of the labour force. 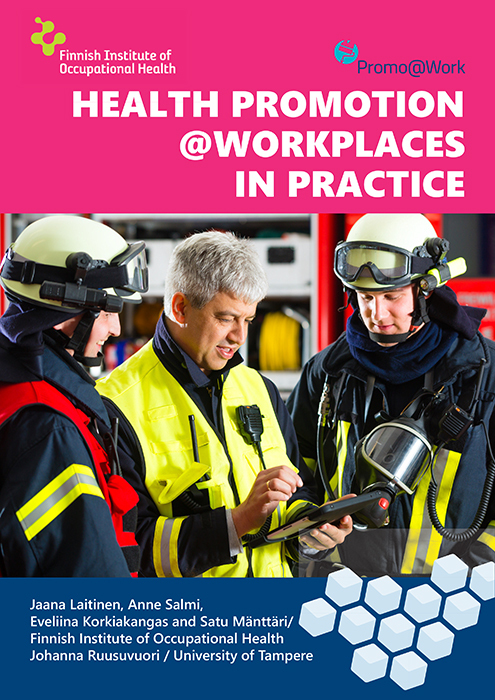 The piece also tells us how occupation tailored, participatory methods, such as Firefit and Primer, seem to be promising in terms of health promotion in the workplace. FireFit -system is an assessment, follow-up and feedback system that is tailored for operative firefighters. Primer is a workshop model, developed to support employees in small workplaces. I trust that you find the contents of this discussion useful, from the Finnish Institute of Occupational Health, which highlights examples of their excellent evidence-based research into safety at work.